What does it mean to be involved? How can we make a difference in the lives of those who depend on us, and in the lives of those who seek only to have a voice? Shirley Chisholm, the first African-American woman elected to Congress, asked these questions. In addition to being the first African-American woman elected to Congress, she also ran for the Democratic nomination for President in 1972. 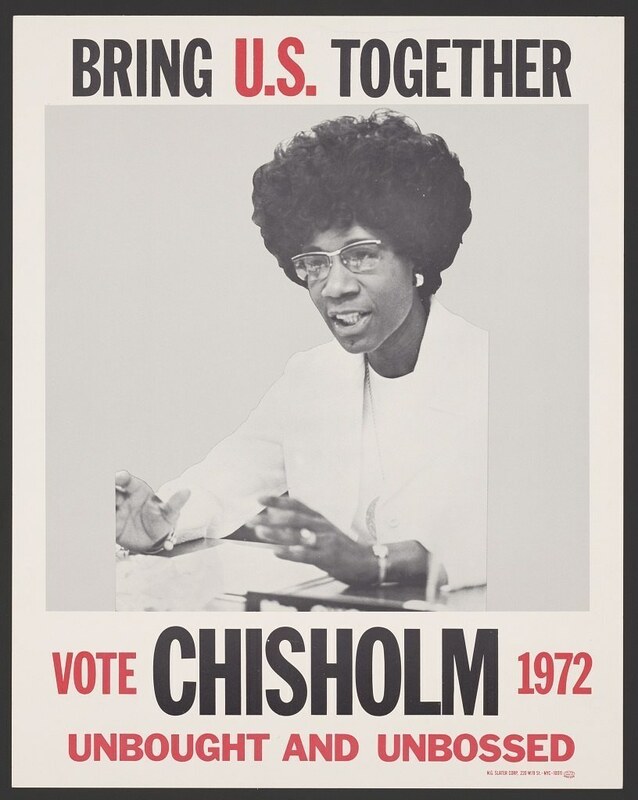 Her 'Unbought and Unbossed' campaign, while unsuccessful stands as a challenge to those who would sacrifice ideals for power, and stands even now as an example for those women and African-Americans who would follow in her footsteps. 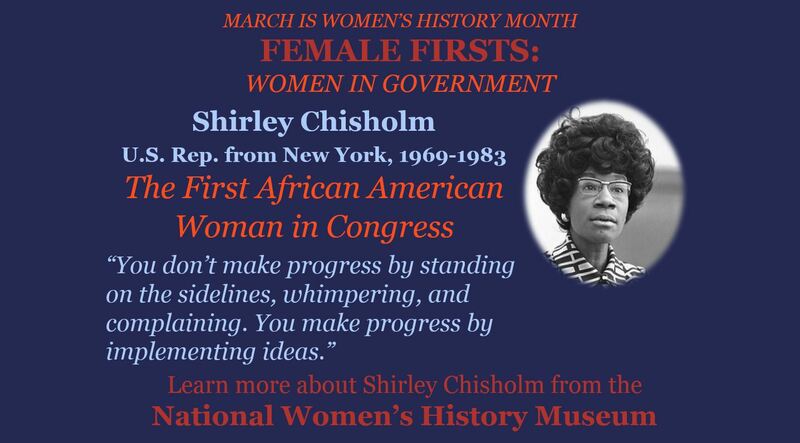 You can learn more about Congresswoman Chisholm at the National Women's History Museum. The Smithsonian Magazine also has an excellent piece on her presidential campaign.